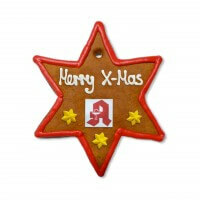 The gingerbread stars are a sweet little Christmas gift and can be designed according to your wishes. 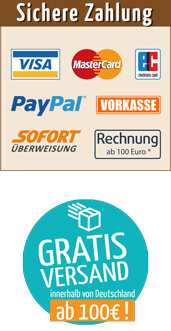 With your individual text and optional your logo, so you have a very personal gift. Specification Star made of Gingerbread optional with Logo, 15cm, Customisation: Free choice of border color, font color (all color-codes here), 1 decoration, text with up to 15 letters and optinoal Logo or Photo printed on edible sugar paper (max. 40mm x 20mm).